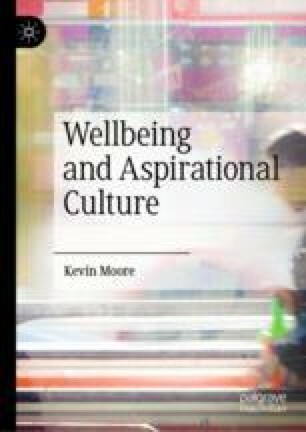 Moore introduces the main argument of the book by first observing that there is a paradox at the heart of wellbeing in the modern world. While life is objectively better than it has ever been, the evidence is building that people are suffering. He first focuses on the claims of a ‘new optimism’ that life has never been better. Then he considers the disturbing findings on mental health and wellbeing, especially amongst young people. The argument is made that understanding this paradox requires two changes to how wellbeing is theorised: the notion of the ‘person’ needs to be included in theories of individual wellbeing; the current culture of aspiration needs to be understood as the context that today generates both the difficulties involved in sustaining wellbeing and the persons whose wellbeing is of concern.